This is a great story that just keeps getting better. After being found in critical condition last November, mixed-breed dog Hudson was treated and put on a path to becoming a therapy dog. 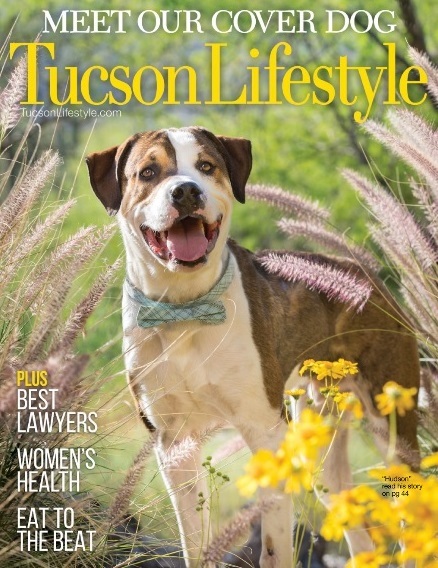 He was also one of around 200 pooches that competed recently for Tucson Lifestyle magazine’s annual “Cover Dog Search,” a fundraiser put on in partnership with the Humane Society of Southern Arizona. Hudson won. At press time, Hudson was still receiving later treatment for his burns three to four times a week, but he is thriving beyond all expectations, happily greeting everyone (canines and humans) that he meets. Hudson, who is around one year old, has already proven his mettle with other fellow burn victims, who will be the focus of his future therapy efforts. Below is an earlier story about the dog’s plight by local TV station KVOA. News anchor Kristi Tedeco was among the celebrity judges for this year’s Cover Search. Thank you buddy, for letting us in during your darkest hour. For that moment, when you decided to trust us… right after you had been treated so terribly. Thank you for letting us care for your wounds even + especially when the pain was extraordinary. Thank you for loving each one of us so very much as we have cared for you. 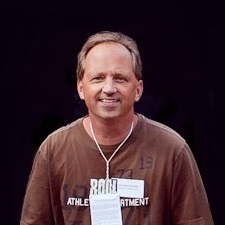 Thank you for your incredible sense of humor + for talking… all. the. time. Thank you for sensing people’s hurt + leaning in to love them. Thank you for being so gentle with little children as if you know they need your tenderness. Thank you for taking such good care of your new doggy siblings and your best friend the pig. Most of all, thank you for not giving up. Even when your spirit + body were so broken. Thank you for teaching us how to forgive. Thank you, baby doll. We love you beyond words. Best friend the pig! Love it.